Hospital Negligence Claims How Much Compensation Can I Claim For Neglect? One of the reasons why this could happen is due to negligence and neglect on behalf of the hospital. Negligence and neglect are serious issues in our healthcare system. Often, the issue of poor care in selected departments of our hospitals can be attributed to staff being overworked and to staff shortages. Nevertheless, it remains a serious error and the implication is that it could result in further injury and suffering to the patient. In certain extreme cases, it could even result in death. Negligence and neglect in a health care environment should never be dismissed. Negligence and neglect can take many different forms. However, whatever the situation, making a hospital negligence and neglect claim may be the best way in which to compensate you for your negative experience. This guide is designed for those who have been a victim of hospital negligence and neglect. Even if you have not been a victim, it is also important that you understand your rights in these circumstances, should you wish to take legal action in the future. The guide will give the basic details of everything concerning hospital negligence settlements and will try to answer all the frequently asked questions we encounter. You can feel free to contact us if you have further questions, we will be glad to answer all your queries and provide hospital negligence advice. A guide to hospital negligence and neglect claims. What is hospital negligence and neglect? Claiming for hospital negligence and neglect. Claiming against the NHS for hospital negligence and neglect. Is there a time limit for making a hospital negligence and neglect claim? Hospital negligence and neglect facts and statistics. What different reasons for a hospital negligence and neglect claim are there? Are there different types of hospital negligence and neglect claims? Assessing the severity of a medical condition caused by hospital negligence and neglect. What to do if you have been the victim of hospital negligence and neglect. What can be claimed for if you have been a victim of hospital negligence and neglect. No win no fee hospital negligence and neglect claims. How much can I claim for hospital negligence and neglect? How to start a hospital negligence and neglect claim. Why choose us as your claims service for a hospital negligence and neglect claim. This guide will cover all aspects of hospital negligence and neglect claims. Going through this guide will arm you with the information you need to be successful in your compensation claims. As mentioned earlier, hospital negligence issues should not be taken for granted. Instead, they should be fought using the various instruments of the law. The negligence and neglect in our hospitals could have a far-reaching effect on many victims, the life of future victims might be at stake and, in a worst-case scenario, negligence can lead to death. In this guide, you will discover what exactly constitutes hospital negligence and neglect, as well as how you can make a claim if it occurs. The guide can also answer the question of whether there is a time limit in making these claims, can provide the facts and statistics associated with this problem and a great deal more. There are different types of hospital negligence and neglect claims which you will read throughout this guide. Apart from the situations listed above, the guide covers matters such as assessing the severity of conditions caused by neglect, what to do if you are a victim and how to start making a claim. Towards the end of the guide, you will find other important information, including the pay table showing the possible amount you can claim for different conditions that occur as a result of hospital negligence and neglect. In effect, this guide is just what you need to make a successful compensation claim. You are free to call us using the contact details which are included in the final section. 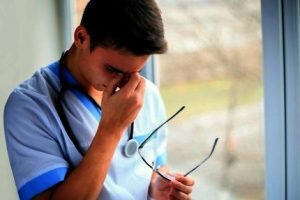 Negligence and neglect refer to the action, inaction, indifference or any activity that is done by the hospital to a patient that ends up causing additional pain and suffering to the patient. Often, patients will entrust their health and wellbeing to a hospital. While the majority of patients might have their health improved by the visit, there are certain instances where the hospital and its staff may have actively worsened the health of the patient. In situations such as these, there may be a valid claim for compensation. professionals fail in their duty to provide the required care for a patient in their facility. For example, if a patient gets hurt while receiving treatment in the hospital, the patient could claim compensation for negligence. Compensation for negligence and neglect is expected to be claimed against the hospital management. This is because it is the duty of the hospital to ensure that every patient is given the best possible treatment and care. This includes providing a safe environment, following safety procedures during medical treatments and providing the right medicine in the correct dosage. If these (and other) provisions are contravened, there may be a viable claim for compensation to be awarded. Claiming against the NHS is a little bit different in comparison to claiming against private hospitals. This is because the NHS has a complaint procedure in which dissatisfied patients can report their concerns. It is important to note that NHS is well aware of a patient’s right to complain about negligence, the right of the person to request an independent review of their allegations and the right to receive compensation if they are harmed. The NHS typically prefers to settle out of court, but it is also within your right to take your case to court. Contact your solicitor for the best professional advice regarding this matter. Yes, there is a time limit. The time limit is three years from the time you become aware of the issue of hospital negligence. However, there are exceptions to this rule. If the victim is below 18 years of age at the time of the incident, the three-year time limit will start from his or her 18th birthday. Another exception is if the victims suffers from a mental health condition; if so, the three-year time limit starts after recovery from the mental illness. According to NHS, negligence claims are on the rise. Over £1 billion has been used for settlement claims each year. For example, in 2012/2013 alone, over 16,000 patients made claims against NHS as seen below. This refers to the legal obligation that mandates that an individual is to adhere to an established standard of care while performing an act that has a potential to cause harm to others. In making compensation claims, the claimant is required to show that the duty of care required by law has been breached. The duty of care is set up and maintained by professionals. For example, the Royal College of Obstetricians and Gynaecologists provides a guide for its members. 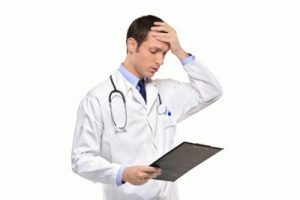 The failure of the health care professional to notice when a patient is getting worse under treatment. The failure to operate when it becomes necessary. The failure for the doctor to give the appropriate treatment for a condition. Making unnecessary errors during surgery. The failure to provide adequate care after the patient has undergone a surgery. Failure to carry out the right investigation. The failure to look at a patient’s history before treatment. The failure to properly interpret investigations. There are many reasons why you might wish to make a hospital negligence and neglect claim. However, one important thing to note is that all negligence and neglect cases are capable of causing serious damage to the patient. Contributory Negligence – This refers to situations where the victims themselves are responsible for causing their deterioration in health. As such, no damages or compensation will usually be paid. Comparative Negligence – This refers to a situation where the victim is a contributor or partly at fault for the cause of the medical negligence. Here, the court will likely be required to attribute the balance of blame between the medical practitioner and the victim and award compensation accordingly. Vicarious Liability – Here, the compensation claim is filed against the organisation that manages the actual medical practitioner responsible for the injury. For example, the NHS or a private health care company. Gross Negligence – Probably the most serious of them all. It is important to note that all medical professionals have a duty to keep the health of the patient at the forefront of everything they do. However, In this case, this duty is being breached. Gross negligence cases normally end in a court case. It should also be noted that any medical professional convicted of this offence may have their professional license revoked after hearing the case in court. Your solicitor should be able to analyse the situation, get the facts and advise on the type of claim to be made. For further information, you can call us and arrange a consultation session using our contact details at the bottom of this guide. We can help guide you through this delicate matter. It is important to note that the hospital negligence compensation amount will likely be determined by the severity of the injury or health condition. For this reason, it is very important to make a proper assessment of the condition. Assessing the severity of the issue will require a professional medical examination that will provide a thorough and nuanced medical opinion. We can also arrange for a local medical examination for our clients if necessary. Contact us for further details and free advice through our contact details at the bottom of this guide. Collect Evidence: This refers to getting the hard evidence that you suffered negligence on the part of the hospital. Part of the evidence could include photographic evidence, eyewitness accounts and so on. Get a Medical Opinion: The effect and injury caused by the neglect and negligence should be captured by a professional medical opinion after a thorough medical examination. Document Financial Losses: Whatever losses you have suffered in the process should be well documented. This would form a basis for the type of claim you may make. Getting it right at the initial stage will go a long way to strengthening your case and increasing the chances of getting the maximum compensation possible. General Damages: claims for the pain, suffering and even psychological damages that you may have suffered. Medical Expenses: the medical bills that you have incurred as a result of the negligence of the hospital. Care Claims: if you needed extra care as a result of the negligence you have suffered. Funeral Expenses: This refers to hospital negligence resulting in death. Here, the loved ones can make a claim for the cost of a funeral service. The hospital negligence solicitors will assess the viability of your claim and offer professional advice on what is to be done. Note that not making the right claim may reduce your chances of getting the correct amount of compensation. Our hospital negligence No Win No Fee arrangement is the cornerstone of our operations. It is a Conditional Fee Arrangement in which we offer legal representation for our clients at no charge until such a time that the case is successful and compensation is received. When the case is settled, we will take out our legal fees from the compensation amount, while the claimant takes the balance. However, if the claim is rejected, you pay nothing to us. We do this to help out people who lack the required finance to pursue a compensation claim but have a very strong legal grounds to make a case. Our ‘No Win No Fee’ arrangement is a testament to our commitment to ensuring our clients get their deserved compensation for hospital negligence and neglects. You can call us for free advice on how to easily proceed with your claim. Death Full Awareness £15,950 - £18,100 A state of full awareness but death still occurs after two weeks. Death Unconscious Up to £6,400 A situation where unconsciousness leads to death within six weeks of injury. Paralysis Quadriplegic £246,750 - £307,000 Can lead to permanent deformity as a result of the injury sustained. For a more accurate idea of how much you will receive and for other conditions not listed in the above table, our contact details are listed in the final section of this guide. Starting a hospital negligence and neglect claim is not as a difficult as it sounds. With the right information and the right solicitor, you can start making a claim without delay. As well as gathering evidence, there is one further step which can help you when beginning a claim. We recommend our free legal consultation to any potential claimant. You can contact us as soon as you want to start a claim. We offer free legal consultation to check the viability of your claims. We review the facts and offer the best advice on what needs to be done to be successful with your case. You can start your compensation claim at any time. All you need to do is to contact us using any of the options seen at the bottom of this guide and we will take it up from there. We have the knowledge and experience in handling any kind of compensation claim. We have handled a great many compensation claims in the past. We have the best approach to customer service in the business. We work in such a way that puts your interest at the forefront. We will work to get the maximum possible compensation amount for you. We operate on a ‘No Win No Fee’ arrangement. There are just so many reasons why choosing us is the best option for you. At the end of the day, we are very sure you will be satisfied with our service. Contact us and your claim can be in the best possible hands. The earlier you start, the better. Contact us by telephone on 0800 073 8804, through our web chat facilities or through the contact form on our website. We will look forward to hearing from you. To find out how much compensation you could claim for a hospital birth injury claim contact us for free advice or click this link. Have you been misdiagnosed by a hospital service or doctor? contact us today to find out if you can claim compensation. If you or a family member has suffered due to hospital negligence and your wanting to make a complaint against the NHS we can help you file the complaint along with your compensation claim contact us for more advice.